Did you know that the University of Georgia Extension has blogs for many of our commodities? You can even sign up to receive email notifications of new posts! Deadline for MFP will be extended due to closure of FSA offices Posted by Amanda Smith on Jan 11, 2019 The original deadline to sign up for the Market Facilitation Program was January 15, 2019; however, the deadline will be extended for the number of business days USDA FSA offices were closed, once the government shutdown ends. 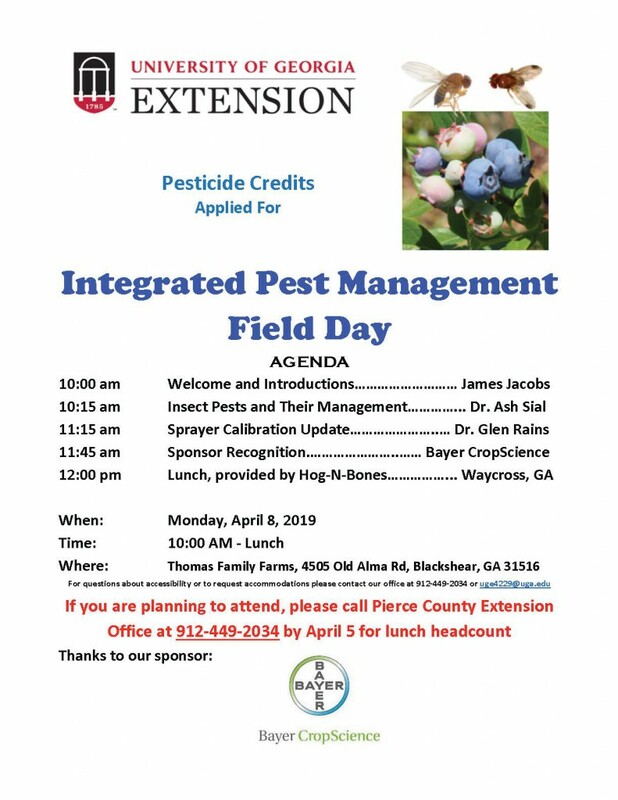 Paraquat Applicators Certification Posted by on Mar 12, 2019 If you didn't never got a trophy, plaque or certificate growing up we are going to take care of you this growing season. 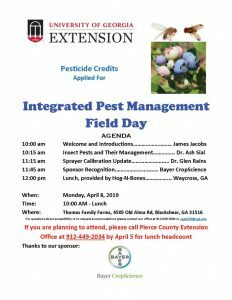 Disease and Insect Management When we Uncover Posted by on Mar 5, 2019 Because of the warm February temperatures our strawberry crop was advancing fast. That is why most of it is under covers as I type this post.